There is no doubt that having a personal trainer is the best way to maximise your potential and the best way to achieve your goals. Simply going to the gym or attending group exercise classes is for most people not enough to inspire and motivate them. If you have an existing injury or problem, then personal training is even more important. For this reason, Barcelona Bienestar offer personal training sessions in Barcelona. Some of our clients like to train outside on the beach or in the parks in Barcelona. Some like their personal training to be just that, personal. They prefer to work with us in their home or if visiting Barcelona for a holiday or vacation then in their hotel. We will design a program especially for you to give you the best possible chance of achieving your goals. This will not only include exercise, but also nutrition and lifestyle. We use many different methods to challenge the body and the mind. So for our personal training we use TRX suspension training which uses bodyweight in a challenging group of exercises. We also use boxing, jump ropes, exercise bands, exercise mini balls, weighted vest and many other exercises. We can help you to achieve long-term fitness and exercise goals if you are living in the Barcelona area, or keep your body in the best shape if you are just visiting. We can also help you with weight-loss or muscle/bulk gains. We also offer group fitness and exercise training sessions which are perfect as a supplement to your personal training sessions with us. Included in our program is Pilates personal training and group sessions and also functional training group sessions. So, if you are looking for personal training in Barcelona, if you are just starting out on your road to fitness, or you are a long-term fitness person, we can help you reach a higher level. We are totally professional in our teaching and our business. We teach in English and Russian. Chris is an International presenter and trainer of fitness teachers all over the world. Julia is the current Miss Ireland Sports Bikini Model and a qualified personal trainer. So you will be in very safe hands. Chris pays all the profits made from this BLOG to his charity partners. More details can be found by clicking on www.chrishuntwellness.com and selecting the “charity partners” tab. How to gain muscle and then keep it! For many men and women, the toning, creation and retention of muscle mass is a mythical journey shrouded in gossip and hear-say. It is a complex issue dependant on many factors that vary person to person, but let’s try to simply some things. I am often asked by worried people, especially ladies, that they will quickly gain muscle size and look unfeminine. It takes time for a muscle to grow in size and strength. It also takes the right combination of muscle stress, recovery time, nutrition, hormones, and genetics. It typically takes people dedicated to muscle growth a lot of time and effort to reach their goals, so relax, you are not going to sprout bulging muscles over-night, although you might notice some quick improvement in strength in the beginning. Another common comment is that muscle weighs more that fat. This one is true, so if you add muscle and lose fat, you can add weight, but the muscle will take up less space than the same amount of fat so you’ll look better. 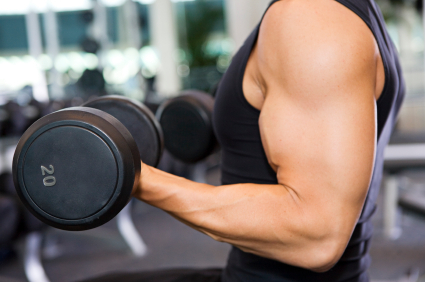 Muscle also speeds up your metabolism so you burn more calories day and night trying to maintain that muscle mass. With this is mind, it is clear that no weight loss plan is complete without strength training as well. When it comes to the number of repetitions, there are some things to consider. Using lighter loads does not necessarily mean longer and leaner muscles. You can lift a weight 40 times without feeling tired, but you’re not challenging the muscle enough to develop good muscle tone or get significantly stronger. Doing high numbers of reps doesn’t get your heart rate up either, so you’re certainly not burning much if any fat. If you use a weight that will cause muscle fatigue after no more than 15 repetitions, this can get the best results in endurance, muscle tone and strength. Also it’s important to mix up your workout by using a variety of weights (from 50% to 90% of maximum capacity) and repetitions (between 5 to 20 per set). Doing higher reps with lower loads helps build endurance; lower reps with higher loads helps build strength. Variety is, as always, the spice of life. 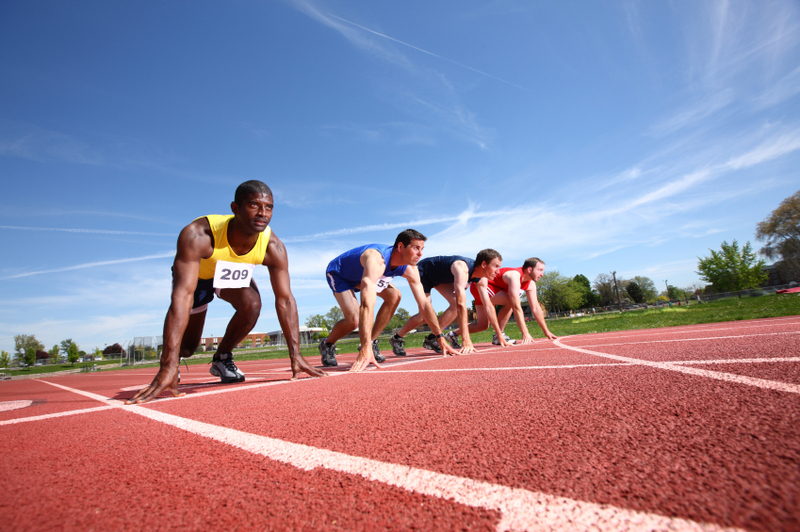 Some athletes I work with are initially worried that if they grow muscle mass then they will lose their speed. It’s obvious that for some sports too much mass is not required, but weight training, especially at a high intensity or with explosive movements, can actually help sports such as running and cycling by building strong, powerful muscles that can rapidly react when called upon to accelerate. Also, a well-rounded weight training plan can also reduce injuries by balancing key muscle groups and reinforcing vulnerable joints. One thing that my Pilates clients learn is that doing exercise slowly makes a big difference. It’s not always necessary to load on more and more weight to get stronger. By slowing down the speed while lifting and lowering weights stresses the muscle and forces it to get stronger. Here is the mother of all myths when it comes to muscles. How many times have I been asked if by stopping weight training, will my muscles will turn to fat? This question does have a simple answer. No! Muscle and fat are two distinct types of tissue, so it’s physiologically impossible for one to “turn into” the other. Muscle will lose tone, however, if it’s not used, which may result in a flabby appearance where you used to be solid, and if you don’t adjust your diet and workout after you quit training, some of that food you’re eating could turn to fat. Getting older doesn’t mean giving up muscle strength. Not only can adults fight the battle of strength and muscle loss that comes with age, but the Golden Years can be a time to get stronger, says recent research from the USA. Resistance exercise is a great way to increase lean muscle tissue and strength capacity so that people can function more readily in daily life, Through resistance training, adults can improve their ability to do anything that requires manipulating their own body mass through a full range of motions. Normally, adults who are sedentary beyond age 50 can expect muscle loss of up to 0.4 pounds a year. That only worsens as people age. But even earlier in adulthood; the 30s, 40s and 50s, you can begin to see declines if you do not engage in any strengthening activities. Recent analyses of current research show that the most important factor in somebody’s function is their strength capacity. No matter what age you are, you can experience significant strength improvement with progressive resistance exercise. This means that the amount of weight used, and the frequency and duration of training sessions is altered over time to accommodate improvements. Evidence shows that after an average of 18-20 weeks of progressive resistance training, an adult can add 2.42 pounds of lean muscle to their body mass and increases their overall strength by 25-30%. Anyone over age 50 should strongly consider participating in resistance exercise. A good way for to start, especially for people who are relatively sedentary, and after getting permission from their doctor to do so, is to use their body mass as a load for exercises. Such exercises you can do include exercises that progress through a full range of motion, such as Pilates and Yoga. After getting accustomed to these activities, you can move on to more advanced resistance training in a gym, with the help of a fitness professional. You should feel comfortable asking a trainer whether they have experience working with aging adults. 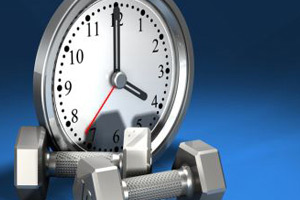 I suggest that you participate in strengthening exercise two days per week as the minimum. As resistance training progresses and weights and machines are introduced, you should keep in mind the need for increased resistance and intensity of your training to continue building muscle mass and strength. A good fitness professional can help plan an appropriate training regimen, and make adjustments based on how you respond as you progress. Progressive resistance training should be encouraged among healthy older adults to help minimize the loss of muscle mass and strength as they age. So there you have it, a quick and simple guide that I hope will help and encourage you to reach greater heights this year than ever before. Good luck. Let me know if you need any help.